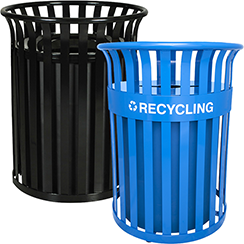 Durable, high-quality plastic recycling containers can be a long-term solution to both indoor and outdoor recycling needs. 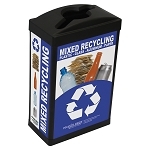 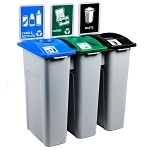 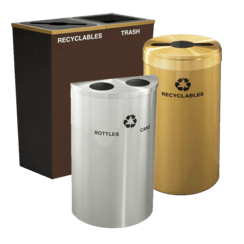 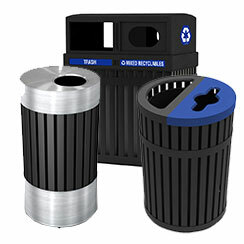 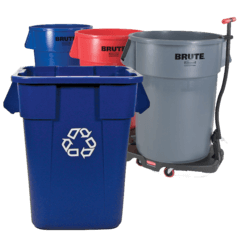 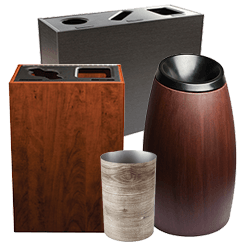 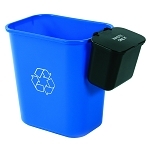 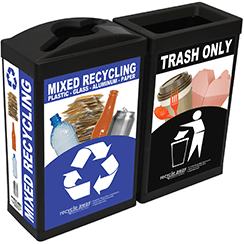 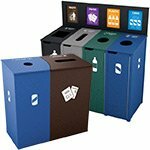 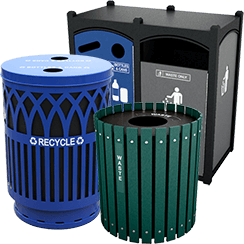 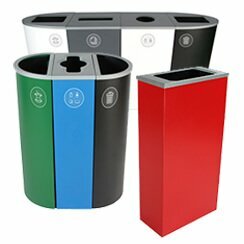 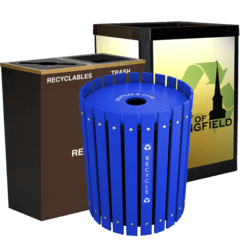 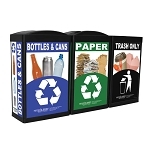 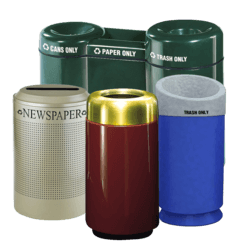 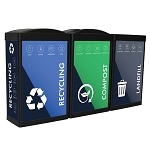 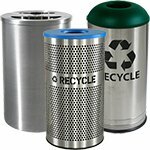 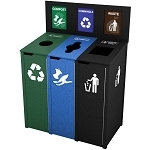 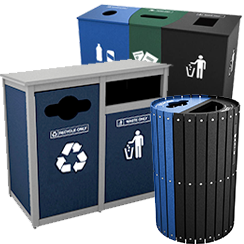 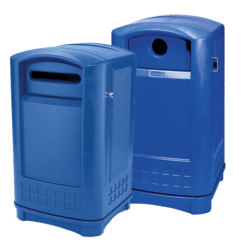 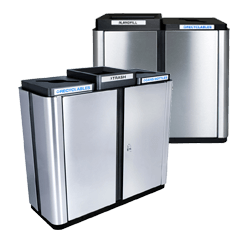 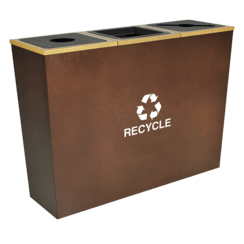 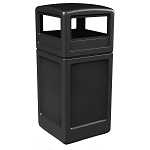 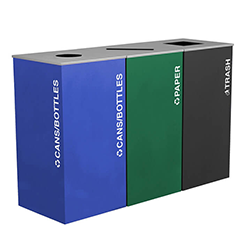 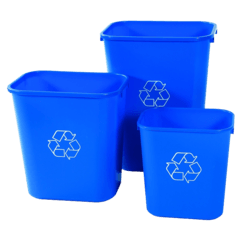 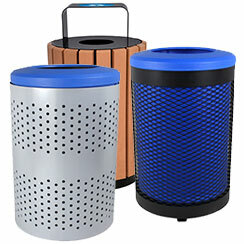 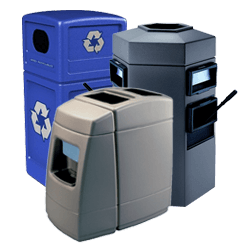 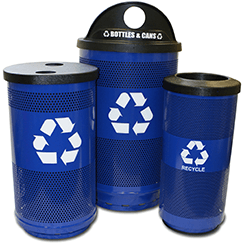 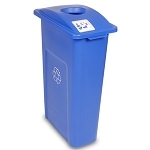 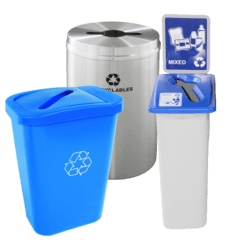 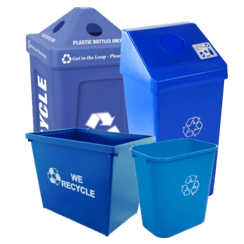 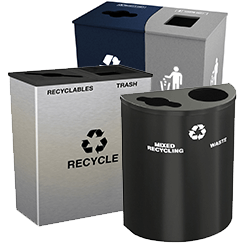 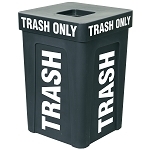 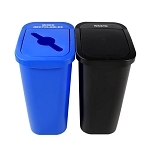 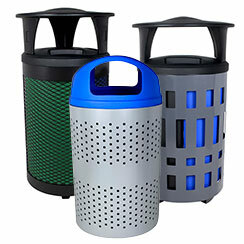 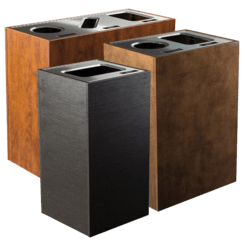 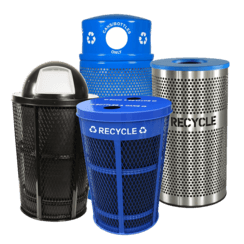 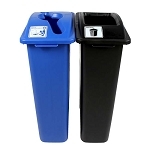 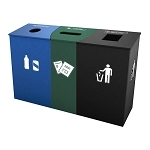 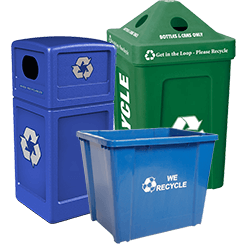 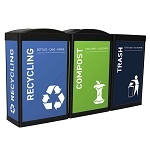 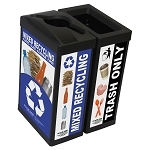 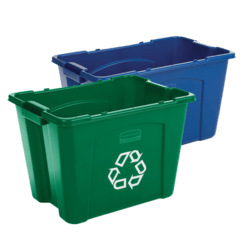 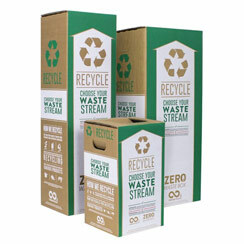 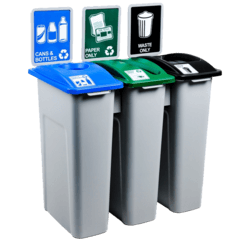 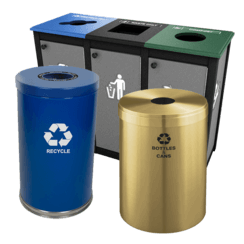 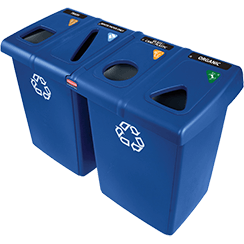 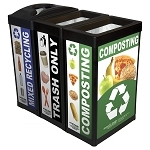 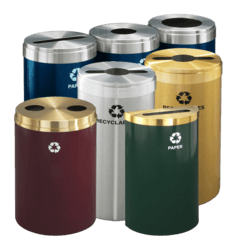 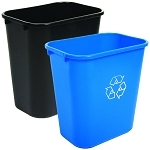 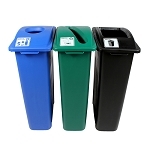 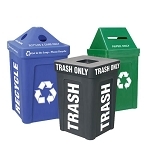 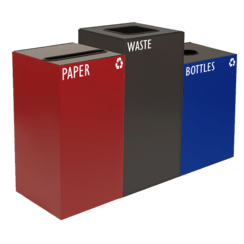 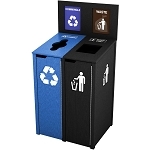 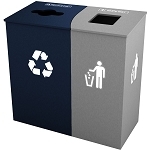 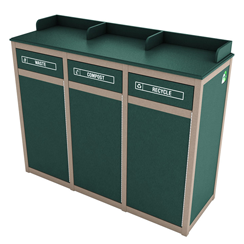 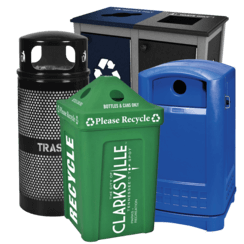 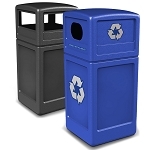 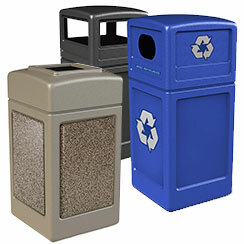 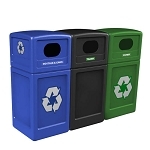 We offer a large variety of plastic recycling bins for the office, campus, stadium, curbside, industrial use, and home. 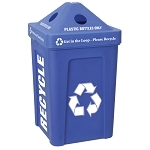 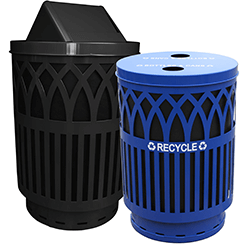 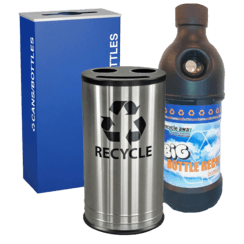 Recycle Away offers plastic recycling containers in a number of shapes and sizes, including our bestseller 14-Quart or 28-Quart Recycling Containers, 7-Gallon Deskside Sorter, and more. 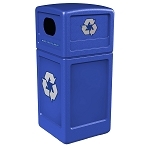 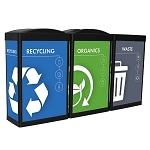 Even our smaller recycling bins can be custom stamped with your logo. 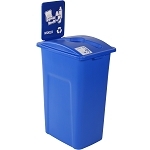 You can also opt for a blank bin or one with the familiar “chasing arrows” recycling symbol stamped on the side of the container. 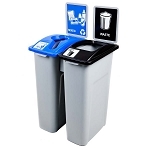 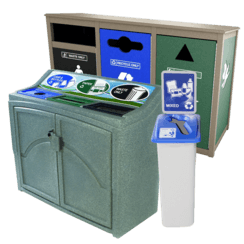 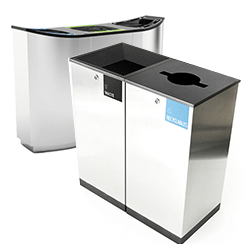 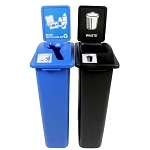 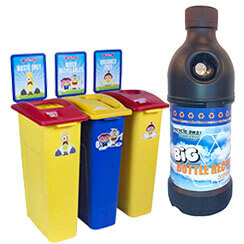 We also offer a number of options for plastic recycling stations, including Simple Sort Double and Triple Stations. 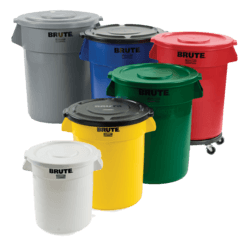 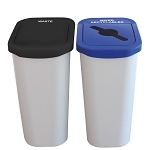 These containers are easy to customize with color coding and restricted opening lids that help reduce contamination and fit your exact recycling needs. 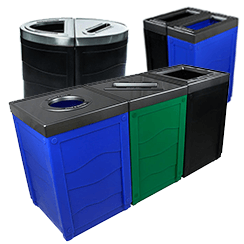 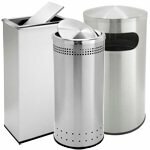 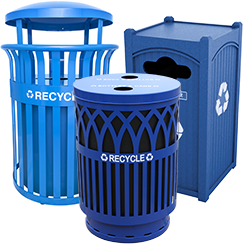 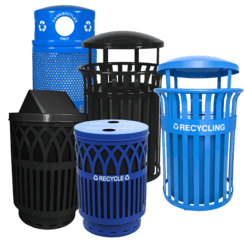 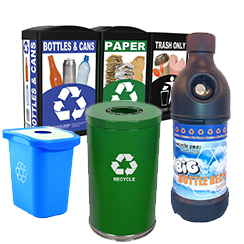 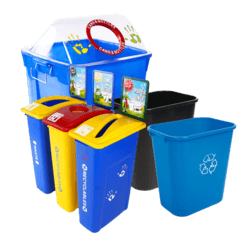 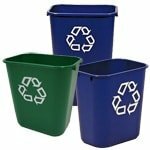 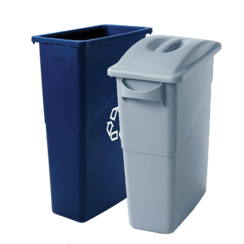 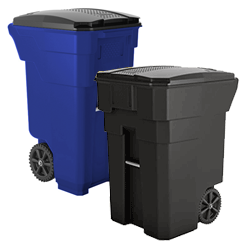 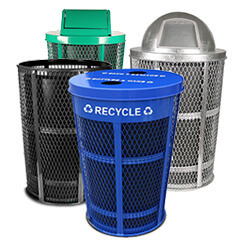 To find out which type of plastic recycling bins are right for you or to get a price on a bulk order of recycling containers, call us at 1-800-664-5340.